Austin, Indiana, is a small city with a population of around 4,800. Family, religion, and lifelong friends are a priority with the Austin community. 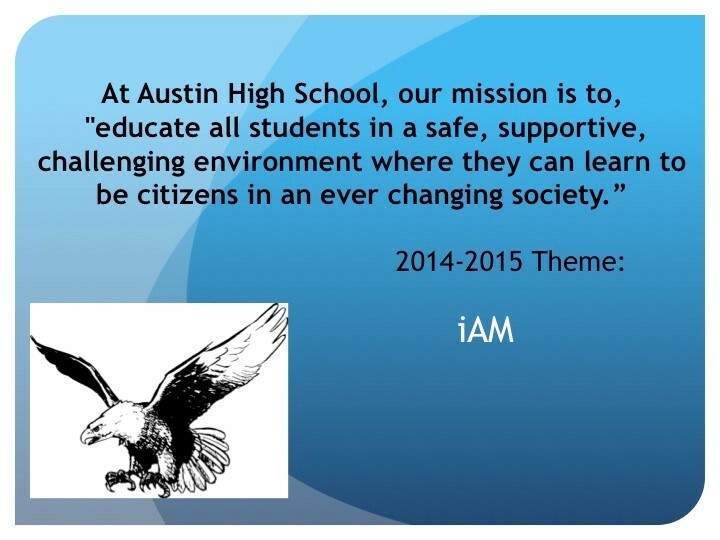 Austin Schools genuinely reflect the spirit of the community. We vigorously cling to conservative, traditional values, yet the technology of the twenty-first century is bringing many new and exciting opportunities to Austin Schools. We look forward to the challenge of educating our students, so that they can meet the standards that will enable them to be successful in any career path they choose to pursue. The following are six major goals or "rules to go to school by" that came out of much discussion last year. These should be posted in every classroom. These are attainable in every classroom. These should be a basis for more specific goals in every classroom. These are for everyone - staff and students - to work toward and accomplish.